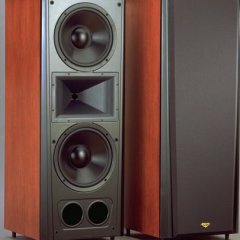 Forgive the late response, but I'm curious as to what became of the KEF LS50 in your comparisons? 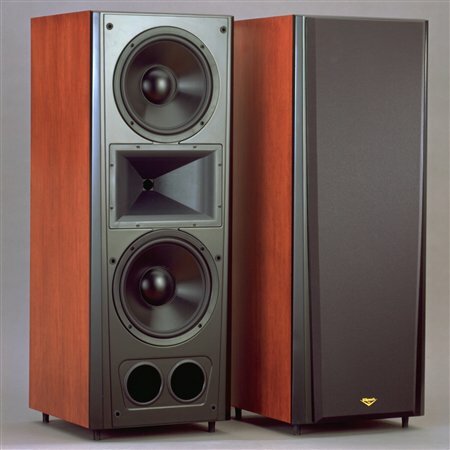 I've been eyeing them as potential music-only monitors for my rather small condo living room. (My beloved CF-4s are too overpowering and don't play well in that room, but still shine as HT speakers.) However, Klipsch's RP-150m & RP-160m have recently piqued my interest as potential bargain LS50 alternatives. Thanks. "Joey, do you like to watch movies about gladiators?" For me, a good one is "In The Waiting Line" by Zero 7. Alpha Lima replied to dirtmudd's topic in Alerts! Despite a lack of an onboard DAC, I seriously considered the 2150, until I happened upon my Bel Canto. Yet this one I find rather intriguing. It's quite a bit of very good kit for the money. I'd love to know what DAC chip it uses. My one major criticism of the RR 2150 is its looks, which I find downright fugly, amateurish and tacky. The knobs and buttons of the 2160 are a little nicer, which slightly softens its appearance. But it's still the same graceless mess of hackneyed, pseudo-retro touches, lopsided proportions, and poor ergonomics. Outlaw should've gone in a much more elegant direction with its design. Um, kinda confused at this. The KSP-C6 is a center speaker, while the SB-3 is a soundbar. Looking for rear/surround speakers. I'll check it out. Thanks. I have a spare pair of KG 1.5s in black. They're smaller than the Sixes, but deeper and rear-ported. Alas, while a KV-4 would be optimal, my KLF-C7 with Crites tweeter will have to suffice. It already sounds far superior to the Polk CS2 it replaced. Howdy, folks. My 2-channel system consists of a pair of Epic CF-4s (version 1) powered by a Bel Canto s300iD, and a pair of SVS subs. I'm in the process of integrating it into my 5.1 system, usurping the Polk Monitor70 II mains and probably the 15" Acoustic Research sub (because three subs might be too much). That leaves the surround speakers, currently my trusty Cambridge SoundWorks Model Six, the first honestly hi-fi speakers I've ever owned. What would you recommend as replacements for the Sixes? I'm intrigued by the SS1, Synergy S-2/S-20, and RS-10 - something with that T-W-T configuration. I could also just wait and hear how well the Sixes sound with the Epics and KLF-C7 before deciding on replacing them. And the MCACC on my Pioneer AVR will make everyone behave, in the meantime. Thanks in advance. GLWS! But, oy, a soundbar? That's quite a downgrade. https://washingtondc.craigslist.org/doc/ele/6122063562.html Seems like a very nice price to me. No affiliation, of course. Peter, please, I definitely share your displeasure, but this forum is meant for discussing quality audio (and ridiculing those who have no idea what that is). It's supposed to be a haven from all the crap going on in the world, political or otherwise. First set of Cornwalls Ever? Alpha Lima replied to Innocent_George's topic in Alerts! Alas, I have just one pair of the version 1 CF-4 (two pairs of version 3 CF-3s, though, which are still very good). Bought them from a fellow community member. Those SVS subs are indeed quite lovely, and they give my system the lowest octave heft the Klipschs surprisingly miss, at least in my big living room. Since the (excellent) Bel Canto has an HT-bypass, and I'm already using that modded KLF-C7, I'm about to meld my 2-channel and home theatre systems, usurping all the Polks and Acoustic Research sub. The Polk Monitor70s are likely destined for a 2-channel system for my sister, along with a Yamaha RX-797 and a Technics SL-Q3, so she can finally play her LP collection. Looking for an inexpensive CD player to do her CD collection justice. Not sure where the big AR sub will go, though. I thought this was one of those sickening videos where someone destroys a something very collectible. Thankfully, it's just some brainless rant. Some a-hole YouTuber has a video where he destroys a very nice condition Yamaha CR-620 with a hammer. I think it was because he didn't know how to fix it. What an unmitigated waste. They look to be in very nice condition, I have to say.